There has been an increase in legal actions taken by persons who wish to challenge a Will . With increasing prosperity in Ireland over the past five years and an ageing population this area of law has come into its own. Some of these claims can be from children who feel they have been omitted unfairly from a parents benefits. Other cases relate to unmarried couples or co-habitants who have resided with the deceased and yet have not received any benefit on the untimely death of their partner. There has been some progress in recent legislation in relation to providing for co-habitants. That is provided they meet certain rules . How long they live with that person who is now deceased and whether there are children by the union are relevant factors to bring someone into an automatic right to benefit from the deceased’s Estate. No claim can be taken until a Grant of Probate is taken out to the Estate. This means nothing in the Estate can be sold or given away or spent until the Grant is issued by the Probate Office. When that issues anybody who wishes to contest a Will has six months from the date of the Grant to bring legal proceedings. To ensure that no property or funds are disbursed a legal block can be imposed on the movement of property. This is known as a Caveat and must be renewed regularly if there is a delay in administering the Estate. Any legal firm administering an Estate is allowed what is known as an “Executors Year” to get the Grant. From the time of death it can take twelve months at least if various assets have to be valued and gathered. Banks are very restrictive in relation to releasing information and appropriate identification must be given to them before the Bank Accounts details at the date of death are furnished. If there was a transfer of property shortly before the death of a parent this can indicate undue pressure on an elderly parent, proceedings to set aside any Deed of Transfer may then be necessary. If these proceedings to set aside any transfer of land are successful then the land comes back into the deceased’s Estate. In some situations it is necessary to both challenge a Will and challenge any transfers carried out before the Will was signed. This gives to two separate headings of claim. An action to set aside any transfer of land must take place within six years of the date of the Deed of Transfer. Sometimes it occurs that people who are not mentioned in the Will have an uphill battle to claim against the Estate and how a Will was signed and what advise was given. It has been shown in Irish case law that someone other than a person entitled can pursue a cause of action such as a disappointed member of family. Courts have an equitable jurisdiction to allow such an action so as to avoid an injustice. Irish Courts have held that the only real requirement is that a person bringing a claim must have a legitimate interest in the relief claimed in order to allow them to bring the claim. If there is a Deed of Transfer and this is voluntary which means there was no money paid across between a father and son a Court will presume that there was undue influence. It is for the person who benefits from it to prove that that was not so. If that cannot be denied then the Court will presume there was undue influence and the transaction may be set aside by a Court. 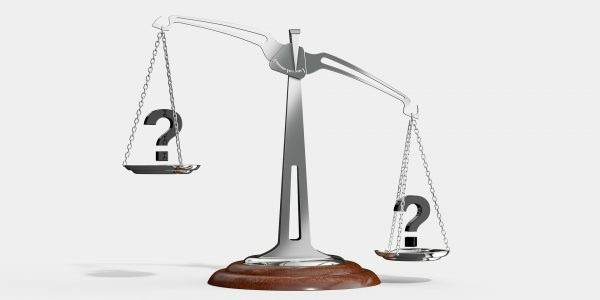 The way to rebut the presumption of undue influence is to prove that independent legal advice was obtained by all parties in other words the same Solicitor should not and cannot act for both parties even though both clients are members of the same family. Undue influence can be summarised as follows. Was one party at a serious disadvantage to another? Secondly was the transaction at an undervalue? Was there a lack of independent legal advice? If these three criteria can be established then the transaction may be set aside by a Court. The whole issue of lack of capacity of the deceased means that the medical reports and the death certificate will have to be obtained to see what the capacity to make a Will was at the time of signing. This involves contacting the hospital or nursing home which dealt with the deceased who are subject in turn to data protection rules and a strict format as outlined as to who is entitled to the deceased’s medical records. Only a member of family showing a legitimate interest in obtaining these notes will get them. It is now known whether third parties outside the party who claim to have an interest will be allowed access to these medical notes. Finally Section 117 of the Succession Act 1965 outlines that “if the deceased failed in their moral duty to provide for the person who is claiming that person may have a right to claim against the Estate”. There are many cases on this in Irish law as to what failure in their moral duty comprises of. Again for a Section 117 application there is a time limit of six months from the issue of the Grant of Probate. 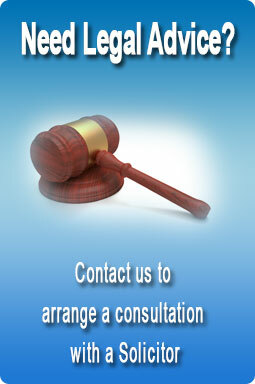 As in all these matters expert legal advice is necessary before a Will challenge is undertaken.